Barely a year after Dow abandoned its syndiotactic polystyrene product Questra, Idemitsu Kosan Co of Japan, which developed the material and licensed it to Dow, has started making sPS in the USA and plans to sell it in Europe. sPS has a high resistance to heat, chemicals and steam, has very good electrical properties, and is light in weight. But Dow failed to persuade users of engineering plastics to adopt it in sufficient volumes, and closed its plant at Schkopau in Germany last year. 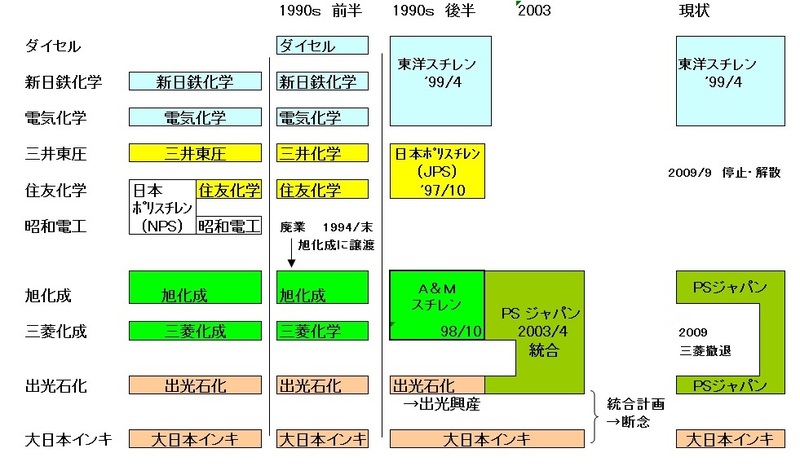 Idemitsu, on the other hand, was selling sPS under its Xarec brand in Japan and elsewhere in Asia, and says it achieved steady progress in applications which include automotive electrical components assembled with lead-free solder; heating units of home appliances like rice cookers, washers and dryers; and antennae and other electronic components. With Dow out of the market, Idemitsu has decided to expand its sales globally. It started producing sPS compounds at DH Compounding, in Clinton, Tennessee, USA and selling them through its subsidiary, Idemitsu Chemicals USA in January. It is planning full-scale sales of Xarec in North America and Europe during this year. Idemitsu says it was the first company in the world to synthesize sPS in 1985, using a metallocene catalyst to make polystyrene with a syndiotactic structure. It began supplying sPS in 1997 and then licensed the basic technology to Dow. The two companies have jointly developed technologies and markets. DH Compounding Company, headquartered in Clinton, TN, is a specialized producer of compounds for the plastics industry. The company constitutes a general partnership between subsidiaries of PolyOne Corporation and Dow Chemical Co., and produces compounds exclusively for Dow Engineering Plastics and Dow Automotive. A custom compounder of crystalline and amorphous polymers, the company produces plastic resins, including modified polymers and blends of ABS and polycarbonate, and modified crystalline polymers for the automotive interiors, business machine, consumer electronics and medical systems markets. DH Compounding manufactures compounds and blends of amorphous polymer systems, ignition-resistant polymer systems, and filled and ignition-resistant crystalline polymer systems, as well as colored, natural and black polymers. Dow has abandoned its syndiotactic polystyrene product Questra. It stopped promoting it in mid-November, and will turn off the 36,000 tonne production plant at Schkopau in Germany in mid-2005. The plant will remain idle until a new use can be found for it. Questra was introduced in 1997 as an engineering plastic derived from Dow's massive involvement in polystyrene commodity materials. It had high heat and moisture resistance with potential in the automotive, electrical and electronic markets. Questra was, in engineering polymer terms, relatively low priced making it competitive with most crystalline materials from PBT to high temperature nylons and LCPs. It was adopted for a number of niche applications, but just didn't make it into the wider engineering materials market that Dow needed. Questra will be supplied to companies with products depending on it until a transition can be made into different materials. A biological process to convert polystyrene into a bio-degradable plastic is being researched at University College Dublin. A paper scheduled to appear in the American Chemical Society journal Environmental Science & Technology by Dr Kevin O'Connor will describe experiments in Ireland and Germany with a pyrolitic process. The researchers use pyrolysis　熱分解 - heating materials in the absence of oxygen - to convert polystyrene into styrene oil. This can be absorbed by a special strain of the soil bacterium pseudomonas putida which converts the oil to polyhydroxyalkanoates - or PHA - a long chain polyester which can be used as a plastic and has the ability to break down under composting conditions. Coincidentally, in the USA plans are underway to build the first commercial plant to manufacture PHA. Agricultural processing company Archer Daniels Midland is linking with biotechnology company Metabolix to build a 50,000 tonnes plant to make PHA at one of ADM's sites. It will use a fully biological fermentation process to convert agricultural raw materials, such as corn sugar, into PHA using proprietary Metabolix technology. ADM describes PHA as 'a broad and versatile family of polymers that range in properties from rigid to elastic, and can be converted into moulded and thermoformed goods, extruded coatings and film, blown film, fibres, adhesives and many other products'. They have excellent shelf life and resistance even to hot liquids, greases and oils, yet they biodegrade in aquatic, marine and soil environments and under anaerobic conditions, such as found in septic systems and municipal waste treatment plants. They can be both hot and cold composted. Dr Kevin O’Connor has been heading a microbiology research group in UCD since 2000. He talks to Danielle Barron (BSc 2005) about how pollutants can be converted into environmentally friendly products. The original compound that O'Connor used in the process was styrene, the main ingredient of polystyrene. But the team realised that the conversion of polystyrene itself to biodegradable plastics would be of greater value. However, their particular bacterium didn't grow on polystyrene. This led to O'Connor contacting Professor Walter Kaminsky of the University of Hamburg, an expert in pyrolysis. This special technique uses temperatures of up to 520 degrees to heat the plastic in a vacuum, producing a liquid form of the styrene. San Francisco is poised to become the second city in the United States to not only ban restaurants from using polystyrene food-service products, but also require them to use biodegradable生分解性/compostable or recyclable products if they are an affordable alternative. But the San Francisco ordinance - virtually a lock to be adopted by the board of supervisors Nov. 21, as it passed 11-0 at its first reading a week earlier and has nine co-sponsors - goes one step beyond the measure passed by Oakland, Calif., which goes into effect Jan. 1. While the Oakland law requires the use of biodegradable and compostable containers if they are available at the same price, the San Francisco law - which is scheduled to go into effect June 1 - requires their use even if there is a price premium, as long as it does not exceed 15 percent.